Based on the novel by Jennifer Johnston and tells the story of an Irish woman, played by Julie Christie, recently widowed when her husband is killed by the IRA. 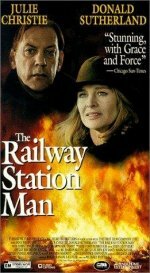 As she slowly attempts to recover from the tragedy, she meets an American man, played by Donald Sutherland, who is in town working on the railroad station. When the two grow closer, she finds herself torn between romantic feelings and suspicions about the mysterious man's past.